John Calvert arrived in Melbourne in 1853 from Northumberland. 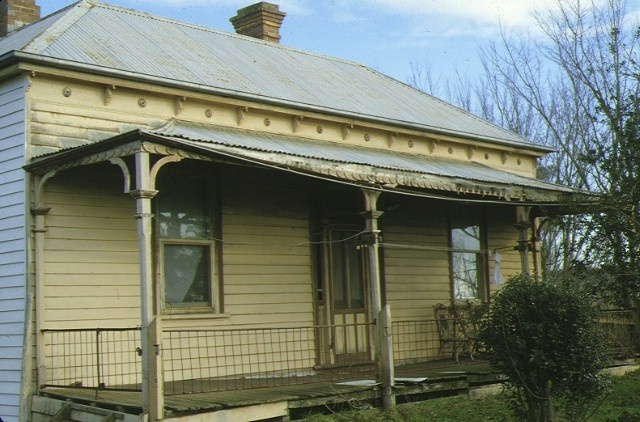 John and his brother William were successful diggers on the Ballarat fields and, after travelling back to England to fetch their families they moved from Ballarat to the Bairnsdale area where they selected adjoining land at Hillside. John also selected more land on the Tambo river flats at Mossiface. At one time this holding amounted to 1100 acres selected under the Duffy Act for £1 per acre. The hop growing industry began in Victoria with Charles Barton's experiments on Lake Wellington using cuttings from Tasmania. 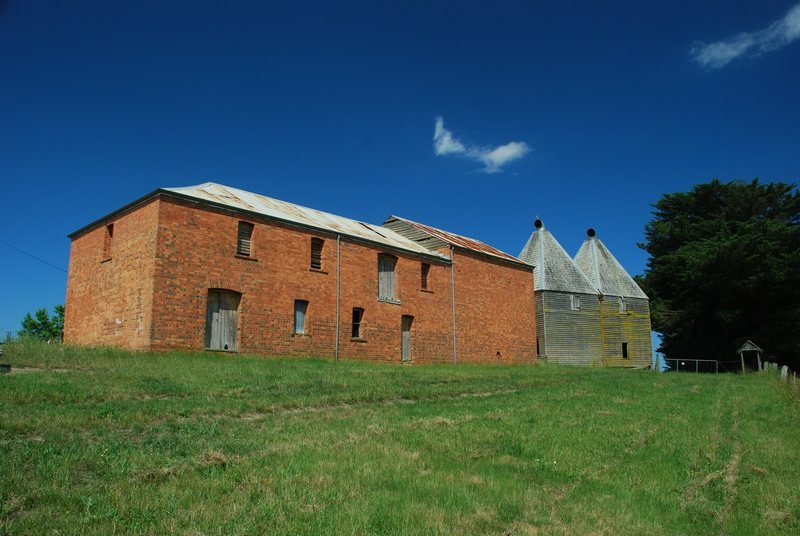 The Mitchell valley at Bairnsdale became the first and most important growing area until well into the 1890's. In 1872 Alfred William Howitt built the first hop kiln in the district, other growers soon followed his example. The kilns were mainly constructed of timber, hence few have survived. By the 1880s there were several hop gardens near Bruthen and Mossiface was the principal area. John Calvert was a pioneer grower and one of the very few still cultivating hops into the present century. 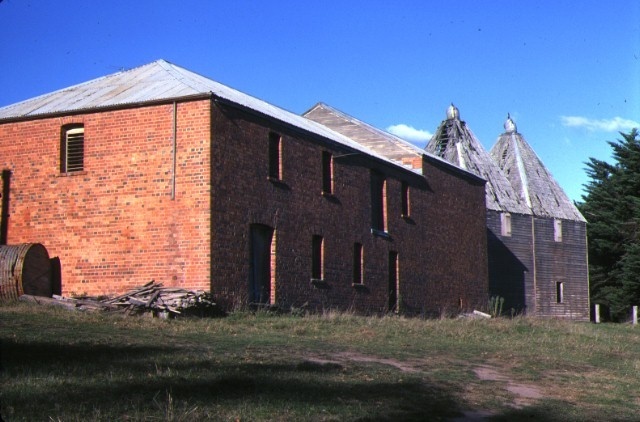 Calvert's kilns are believed to date from 1881 although it is not clear whether the brick or weatherboard structure was the first constructed. According to Torpey and Rosehill ("The Gap Magazine? 1964, p27) the hop kilns were built in 1881. (At this time the Ovens Valley industry had not yet developed). The Calverts were highly successful growers and attracted a large crowd of pickers who could take 3 weeks to complete the picking. Across the road from the kilns are the remains of a kitchen with a central chimney and the pickers? quarters which are little more than a chimney with a lean-to post supported roof and lines of stumps. A second pickers' complex is over the hill from the first. The main complex exhibits a high degree of intactness and high integrity. 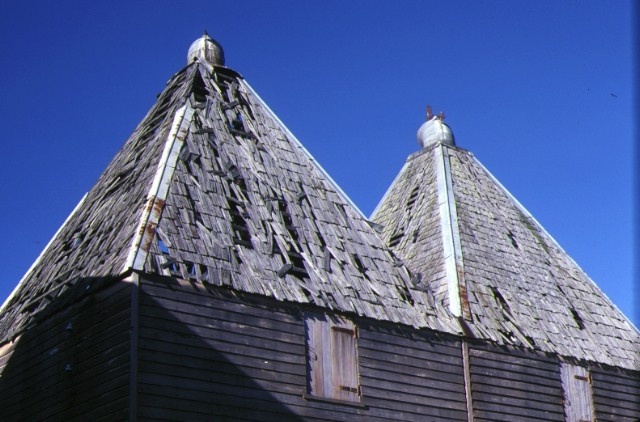 The kilns possess their original but deteriorated shingle roofs. Water entry has however started to cause serious deterioration the complex consists of a timber house of the 1880s, a 2 storey timber store with two hop kilns and a 2 storey brick store with an area at the end where another hop kiln used to be located. The inverted pyramidal base and roof have been removed and there is a new gable roof over this area. The bricks were made on the property and the timber was milled locally. The weather board store contains a hop press which was loaded from the first floor and used to stock the ground floor store. Originally the hops were taken to the Mossiface wharf on the Tambo River and shipped to Bairnsdale by steamer. Of interest are the window and joinery details in the timber store which include very well crafted adjustable timber louvres in lieu of windows at one end of the building. The timber sash and glazing bars on the 12 pane windows are extremely fine, typical of those seen in the 1850s-60s elsewhere in the state. Only three hop kilns complexes are known to survive in the state. Beside the Mitchell River near Bairnsdale there is a complex of the same form and size as that at Mossiface but constructed out of some form of pise or rammed earth. These were built by Ballantyne and Morrison. Another complex survives on the Ovens River at Eurobin. While much larger in size the form of the complex, dictated by the processing system, is the same as at Mossiface and Bairnsdale. 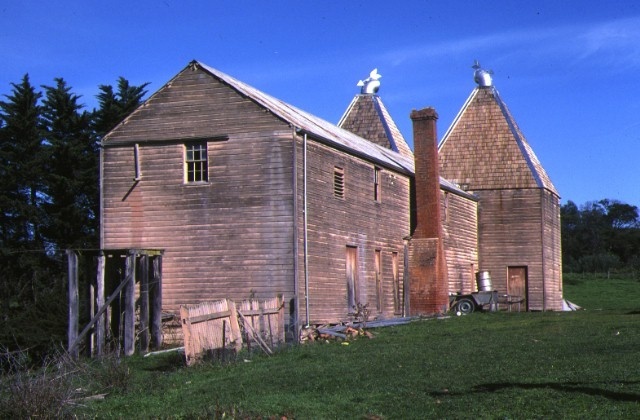 A few chicory kilns survive on French and Churchill Islands and many tobacco kilns are still in use in the north-east of the state. These, however, are different in both their form and construction. 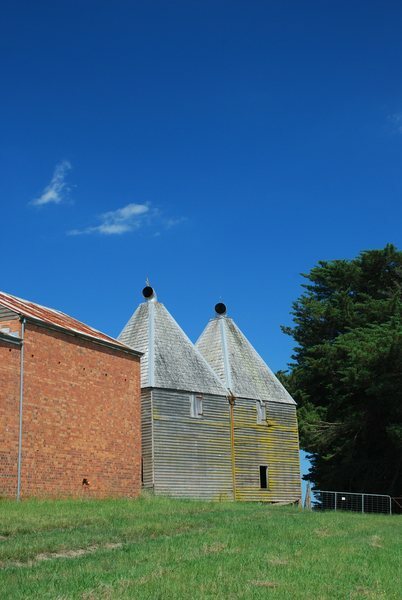 The Mossiface Hop Kilns are considered to be of state significance for historical and architectural reasons as a rare surviving expression of a major industry. Historic Building No. 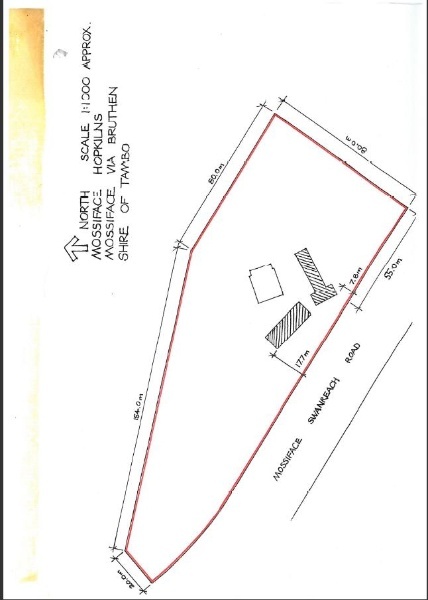 540 Mossiface Hopkilns (including the hopkilns, the timber storeroom building and the brick storeroom building and their immediate precinct but excluding the residence as shown on the plan held by the Department of Planning), at Mossiface, via Bruthen in the Shire of Tambo.